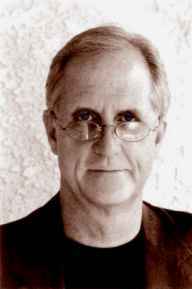 This is Douglas Westfall, publisher of The Paragon Agency. These Amelia Earhart facts cover the story of Amelia Earhart who disappeared in the south Pacific over 70 years ago. This Amelia Earhart book is a primary source of original research by Colonel Rollin Reineck, and tells of Amelia Earhart's return from Saipan. It talks of her capture in the Marshall Islands, her captivity by the Japanese Military, and her rescue, return, and life back in America. This is the history of Amelia Earhart's last flight: A 'round-the-world trip in 1937 that would take Earhart from California to the south Pacific, only to have her disappear over the Pacific Ocean. 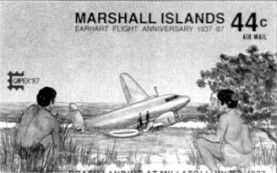 There have been many theories on the outcome of Earhart's world flight of July of 1937. Could have Amelia Earhart and Fred Noonan splash landed into the sea? Following her disappearance, a sixteen day search found nothing. 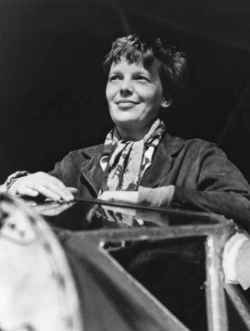 Earhart and her navigator, began the world flight from Oakland California in her Lockheed Electra. They would follow a path that would include 30 stops around the world. Interesting facts about about Amelia Earhart lead researchers to a variety of theories. Did Earhart and Noonan crash the Lockheed Electra onto the shores of an uninhabited island? Aircraft launched from a US destroyer flew over every island in the vicinity, but the two were not found. which show the alternate plans for Earhart to fly back to the United States. What year did Amelia Earhart disappear? The same year WWII started. Amelia Earhart was an icon of America: a woman who would dare to go beyond what men had done, in a time what was considered a man's world, but how did Amelia Earhart disappear? She would fly any distance, break every record, and finally be the first to fly around the world at the equator. She almost made it -- many think she died trying. Amelia Earhart Survived the gripping story of how she endured. 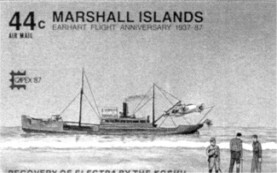 Marshall Islands in 1937. They were issued in 1987, a half-century later. Learn how she returned to the United States after the war under an assumed name, lived out her life in America, and denied to the end -- who she really was. 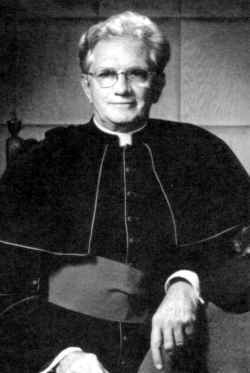 Read about the Catholic Monsignor who counseled her, the British Secret Service agent who married her, and the woman's identity that she became. How did Amelia Earhart die? This book alone answers the burning question, and although there are many records of eyewitness accounts to the incident of her death in the south Pacific, there are few of her return to the United States, and death in 1982. The Amelia Earhart theory that she survived (and there are many others,) is found in only two books, announced in one book in 1970, and detailed in this book: Amelia Earhart Survived. Additional work by the author brought about the reconstruction of an actual Earhart photo, for comparison to the woman thought to be her. What happened to Amelia Earhart is found in this book. 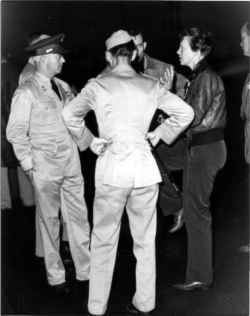 The result of this photographic rendition bears a striking resemblance to the woman who indeed, claimed not be Earhart. The rendition is part of this book, and was published on the front page of the region section of the Los Angeles Times. The photo on the right, was used by officer Michael W. Streed, forensic artist, to make the first of its kind: a photographic rendition of Amelia Earhart at age 75. 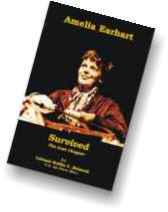 Amelia Earhart Survived is the definitive work on her continued life here in America. 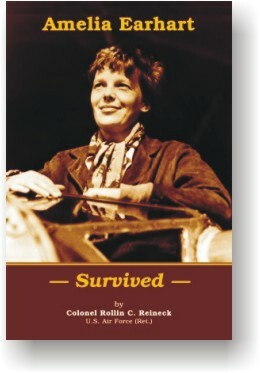 Author Colonel Rollin C. Reineck is a nationally known expert on Amelia Earhart. He has Amelia Earhart information found no where else. 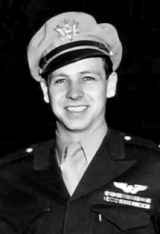 Frequently called upon for his opinion of Earhart's flight, Colonel Reineck has written countless articles and been interviewed on television numerous times, on Amelia Earhart. This book is the only publication to prove unpublished charts of Earhart's second flight plan. It also shows the first-time published results of comparison photography between the Earhart America knew, and the woman she became. As well the book contains the only known ageing photo of Amelia Earhart, produced by a professional forensic artist. Source Material for this book is partially drawn from the investigative efforts of Colonel Reineck's fellow Earhart researcher, Tod Swindell. Amelia Earhart, America's true heroine. The book will absolutely enrich your understanding of the Earhart Mystery, and give you the knowledge of where she went after she vanished. It reveals the reason for the change in plans to reverse her route, the fact that the government knew, and of her capture by the Japanese Military. What day did Amelia Earhart disappear? July 2, 1937 -- five days before Japan started WWII by bombing Peking, China.